Israeli human rights defender Meir Margalit is under attack. Please add your name to the support petition, which follows below. It matters. 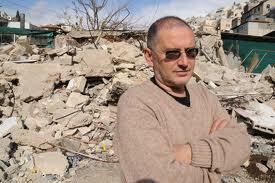 Meir Margalit has been active in East Jerusalem for over two decades, in his dual role as an elected member of the Jerusalem City Council, and Field Coordinator with the Israeli Committee Against House Demolitions (ICAHD). As ethnic cleansing accelerates across Israel and occupied Palestine, Jewish settlements in East Jerusalem – in direct violation of international law – expand rapidly, while Palestinian residents are forbidden to build. Unable to obtain permits from the municipal authorities, they are left with no choice but to build or extend their homes without permits. 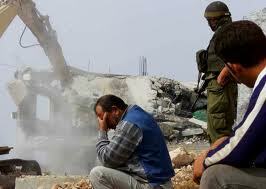 As a result, thousands of Palestinian homes are under constant threat of demolition. As a municipal councillor, Meir Margalit has been active in ongoing efforts to change these discriminatory building policies. At the same time, in his work with ICAHD he also supports the rebuilding of homes demolished by the authorities in violation of basic human rights. He does this work publicly and, together with others, has enabled the rebuilding of over 200 houses. Recently the Israeli Ministry of Interior launched legal proceedings against Meir, claiming that he has engaged in illegal building. He joins a burgeoning roster of Israeli human rights defenders who’ve come under government attack for legitimate non-violent protest actions. Meir Margalit needs and deserves the support of anyone anywhere who is interested in building the grounds for a just peace in Israel-Palestine. While I travelled in Israel and Palestine, I knew always that I would return to my home, a safe haven in Canada, a country well insulated from war and chaos. That is, or should be, the nature of home, a place of comfort and refuge. For Palestinians it can never be so as long as house demolitions remain standard policy for the Israeli government. The Israeli Committee Against House Demolitions estimates that the number of demolition orders in the West Bank and East Jerusalem reaches into the tens of thousands. give this message wings by passing it on to others. If you would like to do more, contact: stopdemolitions@gmail.com.